Skiing abroad is now an extremely popular hobby and holiday choice, which is practiced by more people every year. However, because of the increasing popularity, slopes are becoming busier, and seasoned skiers are venturing further afield to find some space to ski and relax. These skiers head off-piste, away from the usual slopes and trails to untouched snow and unmarked routes. Although the need to escape the crowds is understandable, off-piste skiing presents a set of very real dangers, for example if you are injured you are further away from help and assistance, obstacles are not marked; for example trees and cliff edges, not to mention the risk of avalanches. Never go alone! If you are unlucky enough to be injured off-piste it is vital that you have someone with you to get help, otherwise it could take hours for someone to find you. Go with an instructor or a group who is skilled in off-piste skiing. Be realistic about your fitness, skiing skill and experience. Do not attempt any routes or challenges that are potentially out of your league or abilities, as this could prove extremely dangerous. Always tell people where you are planning to go, and check with a professional that the route is safe and permitted, ask someone who works at your resort or hotel for more information. There is a range of equipment you could purchase to help you stay safe, including a shovel and transceiver, but at the very least the vital things you should carry are; a whistle, flares, a length of rope, a first aid kit and a survival bag, high energy snacks, water and extra clothing – all in a waterproof bag. You can usually purchase these things at specialist shops, either individually or altogether as an ‘off-piste pack’. Make sure at least someone in your group has a mobile phone or radio, so you can contact professionals in an emergency. Ski with caution, as previously mentioned hazards such as trees, rocks and cliff edges will not be marked. Remember that the second you step outside of the piste boundaries, most resorts will withdraw all responsibility. Therefore you must make sure that you invest in travel insurance before you depart. 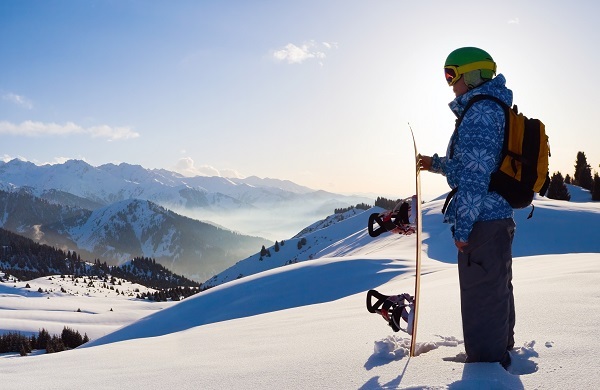 Quality travel insurance will cover you for medical bills and damages resulting from skiing off-piste, just make sure that the policy definitely covers off-piste skiing.